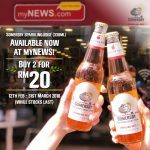 HomeFood & BeverageSomersby Apple Cider RM5 Only Per Bottle Deals! 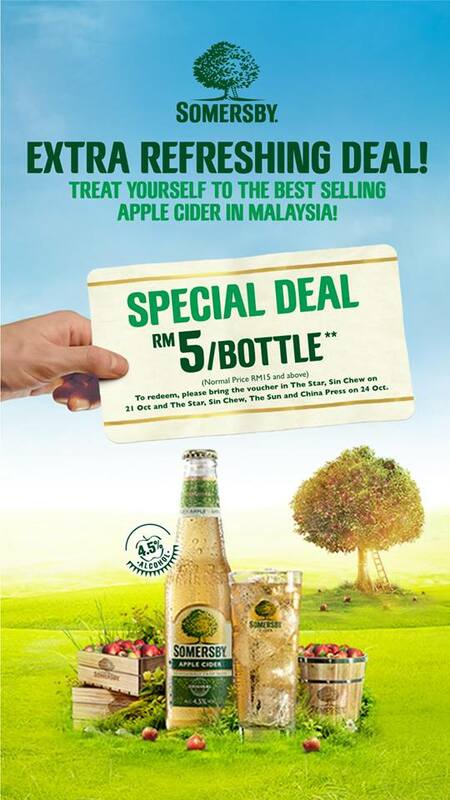 Somersby Apple Cider RM5 Only Per Bottle Deals! 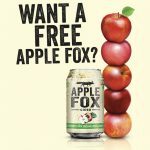 Happy Apple Day! 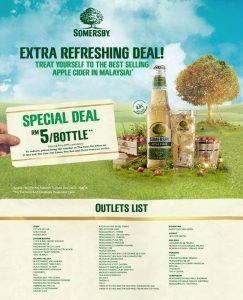 Somersby Malaysia is offering Somersby Apple Cider RM5 only per bottle (normal price RM15 and above). 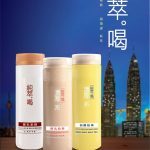 To redeem, just bring the voucher in The Star, Sin Chew, The Sun and China Press on 24 Oct 2016. 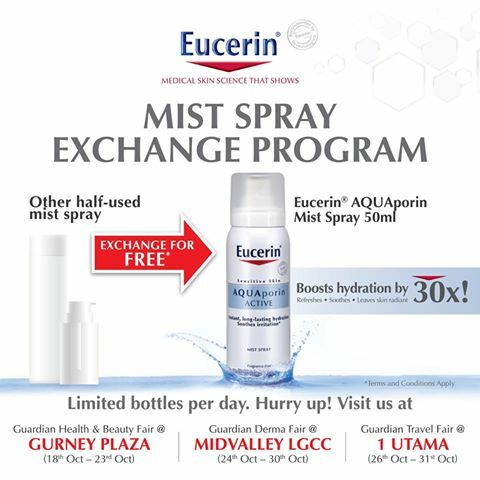 And redeem at the below outlets list. Term & Conditions apply! 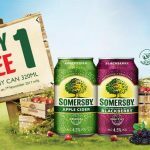 Tell them your version of a world without apples in less than 21 words for a chance to win a carton of Somersby Apple Cider! Contest ends 31 Oct. Only Facebook Entries are eligible. 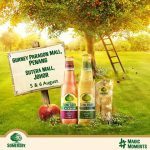 Sweet, refreshing and easy to drink – Somersby cider was once known as the favourite drink of celebrities like Napoleon, Cleopatra and Newton. Or at least that is what we have heard. 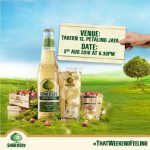 FREE bottle of Somersby Apple Cider Giveaway! 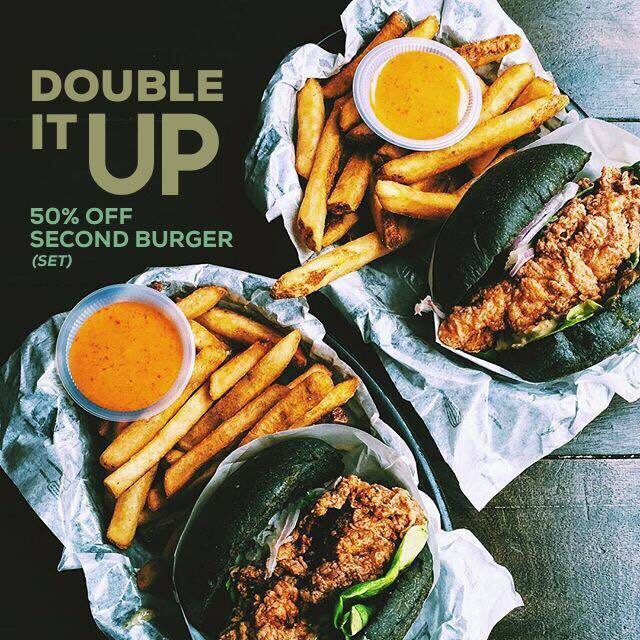 myBurgerLab Offer 50%off On Second Burger(set) Promo!